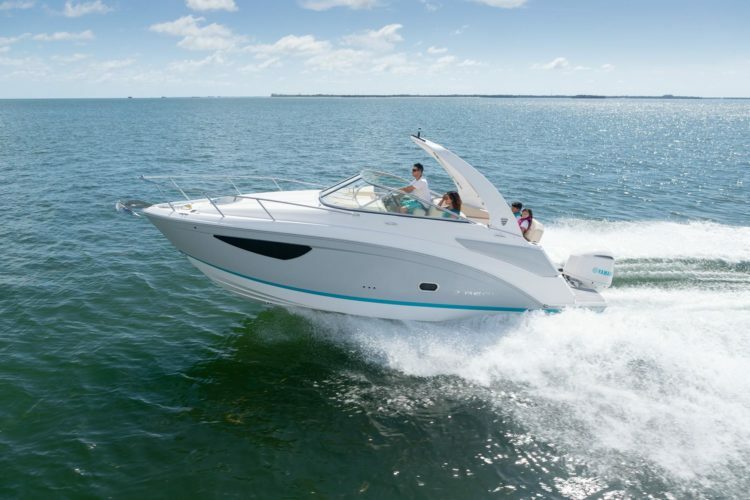 Check Regal’s all new Express Outboard Cruiser, the 26 XO. With a Yamaha 300XCA digital outboard! Price does not include freight or dealer prep. Trade-in Value ($) Check my car's value? Your Estimated Payment*: $869/mo for 24 months at 3.0% APR. *Estimated payments are for informational purposes only and don't account for tax, title and fees or represent a guarantee of credit from the seller. Such estimates are not an offer or commitment to lend. Awesome experience buying our pontoon boat. Mark was very understanding with our questions and concerns purchasing the boat. Delivered to us on time like promised, explain everything on boat and sent out a care package that we discussed during the delivery of the boat. Would recommend Mark and his crew for your next boat Thanks again Shelter Cove for a great experience. Hope to see you soon. Awesome place. Can't wait to the delivery of my new boat on May 9th. Kenny was very helpful with selecting some accessories that I wanted. If your looking for a great place to dock or launch your boat, check them out. Great location and friendly staff and owners. We had a great experience buying our new boat from Sheltered Cove Marina. They spent 2hrs going over all the details of our new Seafox. Everyone we came in contact with was so helpful and knowledgeable, thanks for a great experience! Would definitely recommend to anyone who is looking at purchasing a boat.